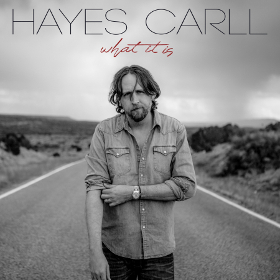 Hayes Carll will have new music in 2019. His sixth record will be called What It Is, and will be released on February 15th via Dualtone Records. It will feature the return of Hayes working with producer Brad Jones, who also produced Carll’s 2008 breakout Trouble In Mind, and his 2011 followup KMAG YOYO. The new album was recorded at Alex the Great Studio in Nashville, Tennessee. Other songwriting collaborators include Matraca Berg, Charlie Mars, Adam Landry, and Lolo. After Carll’s 2016 album Lovers and Leavers set a decidedly more sedated, singer songwriter tone compared to his previous works, What It Is is said to stretch out a little bit more, re-connecting with Carll’s rock bone, and re-instituting some of his sharp wit. 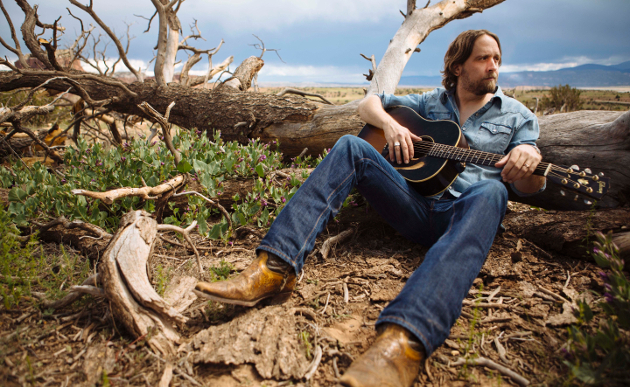 Ahead of the release, Hayes Carll has made the song “None’Ya” available, which is short for “None of your damn business.” Carll says the song is about Allison Moorer. What It Is is now available for pre-order. This is great news. He’s a one of a kind songwriter. Hayes is great and I can’t wait for his new album. This is a bummer. All these songs have already been released on Patreon. This isn’t new at all. This may come as a shocker, but not everyone has a Patreon account. Oh, it’s only 99 cents a month. Also, the Patreon songs are essentially demos. The album versions are more fleshed-out, studio recordings with full band. Compare the Patreon version of None Ya with the version on Spotify. Does he ever shampoo his hair? JK….really like the new song. Look forward to the album. I think he has kind of a slacker vibe going on, not just in appearance, but also in his music. That’s not a criticism…I like the the loose feel and his laid back singing style. I wouldn’t want all music to sound like that but it’s nice to listen to music sometimes that’s relaxing, for lack of a better word. It’s “all in your head”…yeah I got that you were joking. I was just tying to add that I also heard it in the music, in a good way. He’s a great and entertaining songwriter. I found this one song easier to like than anything on that last album. I loved every tune on Trouble in Mind and on KMAG YOYO. I’m hopeful! Damn I really like this song, excited to hear the rest of the album. Great news after the long gap between the previous two albums I was worried it may be a while for a new album to emerge. Shooter, you should write a story about the Steve Earle-Hayes Carll saga and why Steve Earle comes off looking like such a petulant, sophomoric douchebag. Nobody cares except them. Steve Earle is a great songwriter and was good in The Wire but, by all accounts, that is about all. Glad for new music from Hayes. He’s on my short list of artists that I want to see, but haven’t. As I listen to some of the tunes that are reviewed here, I really think, Dylan has been an influence on the lyrics of the better country /roots/Americana song writers that are working at it these days. Thought I heard a bit of Dylan influence in Jaime lin as well, listening to some of her tunes the other day. Might not even be a direct influence. Just the general idea of raising higher the literacy of the song lyrics. Anyway, this is a great tune. So much good music and songs out there these days. It’s nuts. Agree on all points. Between Carson McHone and Jamie Lin Wilson and Jason Eady and Courtney Patton and Sarah Shook and The Band of Heathens, well, you get the idea. I’m going to get whiplash. And yes, lots of Dylan and John Prine and Guy Clark influences. All to the good.